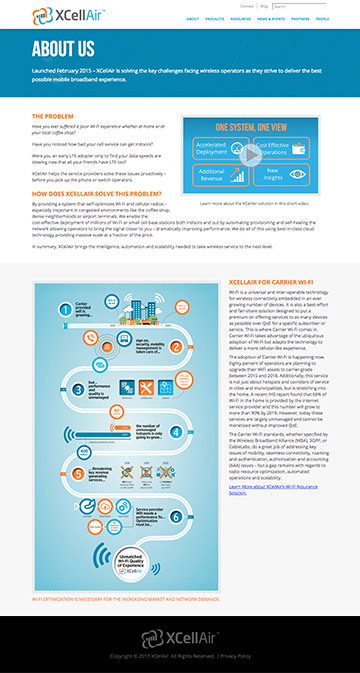 XCellAir is a telecom technology company that brings order to the potential chaos of using unlicensed spectrum when deploying a dense radio network of Wi-Fi access points and cellular small cells. 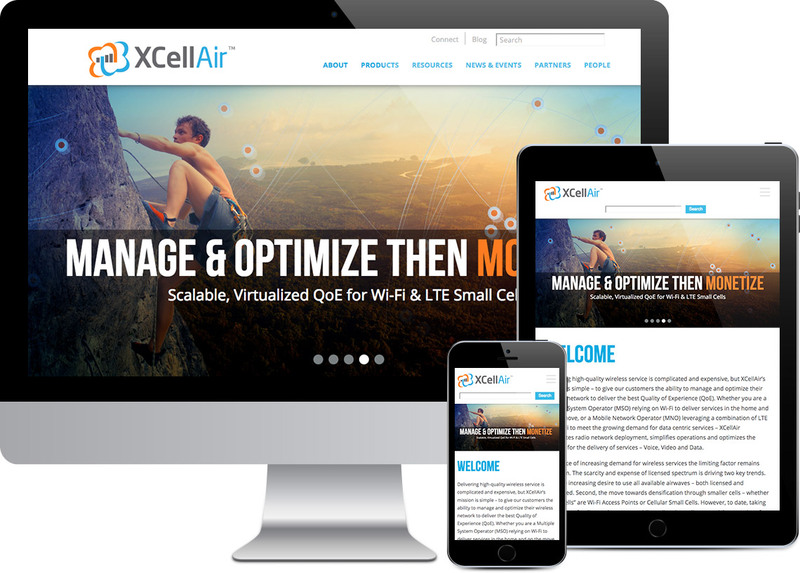 The XCellAir website combines the look and feel of their brand with simple yet powerful functionality, clean graphics and bold colors for visual interest. A consistent color scheme and style along with a graphical overlay of network mesh reference the telecom networks in which they work.